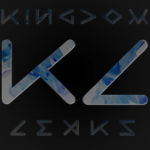 Albums | Kingdom Leaks | Has it leaked? Jeff Rosenstock : We Cool? The Kooks : Hello, What’s Your Name? Ab-Soul : Do What Thou Wilt. Annisokay : Annie Are You Okay? Boston Manor : Be Nothing. Childish Gambino : Awaken, My Love! Black Lips : Satan’s graffiti or God’s art? Declan McKenna : What Do You Think About The Car? The Dream Syndicate : How Did I Find Myself Here? Anavae : Are You Dreaming? Deadmau5 & Reveret : Where’s The Drop? Modern Maps : Hope You’re Happy. Lambchop : This (is What I Wanted To Tell You). Sister : Stand Up, Forward, March! FUTURISTIC : What More Could You Ask For? In Dreams Of Reality : S.Y.N.C.E.D. The Great Heights Band : Rad-Pop.